Are Muslims taught to hate the infidels or to love their neighbors? None of you has faith until he loves for his brother or his neighbor what he loves for himself. Are Muslims taught to hate the infidels? The Prophet taught Muslims to love goodness for all creation, to treat people the way they would love to be treated, and to hate sinful deeds but not the sinners who commit them. It is better to interpret this as brotherhood in general, such that it includes the disbeliever and the Muslim. So he should love for his brother, the disbeliever, what he loves for himself… The meaning of love here is an intention for good and benefit, and this meaning is religious love, not human love. Therefore, Muslims have been commanded to love their neighbors as themselves, whether they are Muslims or non-Muslims, righteous or sinful. This involves treating people as if they were our own selves. Whoever would love to be delivered from the Hellfire and entered into Paradise, then let him die with faith in Allah and the Last Day, and let him treat the people the way he would love to be treated. Do not hate each other, do not envy each other, do not turn away from each other, but rather be servants of Allah as brothers. There has come to you the disease of the nations before you: envy and hatred, and hatred is the razor; it shaves the religion and it does not shave hair. By the one in whose hand is my soul, you will not believe until you love one another. Shall I tell you something which, if you did, you would love each other? Spread peace between yourselves. Faith is not complete until a Muslim abandons envy, rancor, malice, and fraud. Muslims have been taught to hate the evil deeds people commit, but not the people themselves. He has made hateful to you unbelief, wickedness, and disobedience; those are the rightly-guided. That is, Allah has made a condition of faith the hatred of unbelief (kufr) but not hatred of the unbeliever (kafir). In other words, Muslims hate the sin but not the sinner. Abu Ad-Darda, may Allah be pleased with him, once came upon a man who was being beaten because of his sin, and they were abusing him. Verily, I only hate his sinful deed, but when he leaves it then he is still my brother. In fact, the companions of the Prophet asked him how a person can hate for the sake of Allah, and the Prophet responded that true hatred for the sake of Allah is to hate for people what we hate for ourselves; that is, to hate for them to be harmed. The most virtuous faith is to love for the sake of Allah, to hate for the sake of Allah, and to work your tongue in the remembrance of Allah. That you love for the people what you love for yourself, and you hate for the people what you hate for yourself, and that you speak goodness or remain silent. Worship Allah and do not associate anything with Him, establish the prescribed prayers, give the obligatory charity, fast the month of Ramadan, and however you love for the people to treat you, then treat them that way, and however you hate for the people to treat you, then do not treat them that way. It is part of faith to hate evil for his brother as he hates it for himself. In conclusion, a Muslim is taught to desire good and benefit for all people, even the animals. Likewise, a Muslim should never hate a person in the sense of desiring harm for them. Rather, Muslims only hate sinful deeds but not the people who commit them. 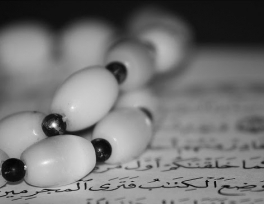 Is it permissible in Islam to torture people? Acting as Prophet Muhammad (pbuh) in a Film? 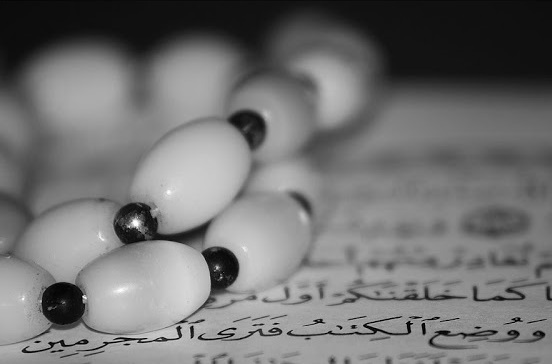 How Did Prophet Muhammad Unite the Muslim Ummah?